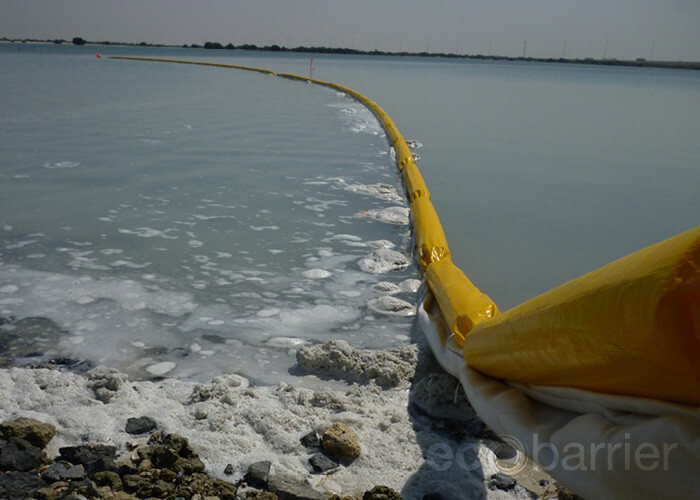 Containment booms help tackle pollution caused by plastic, rubbish, silt, sediment, pollutants and other debris, providing easy removal from the water. 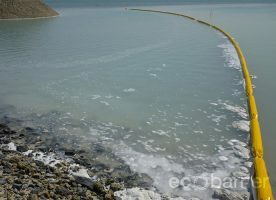 A containment boom is a floating barrier used to contain floating debris, such as plastic, rubbish, silt and sediment, or pollutants that enter our waterways through construction, development and everyday living. 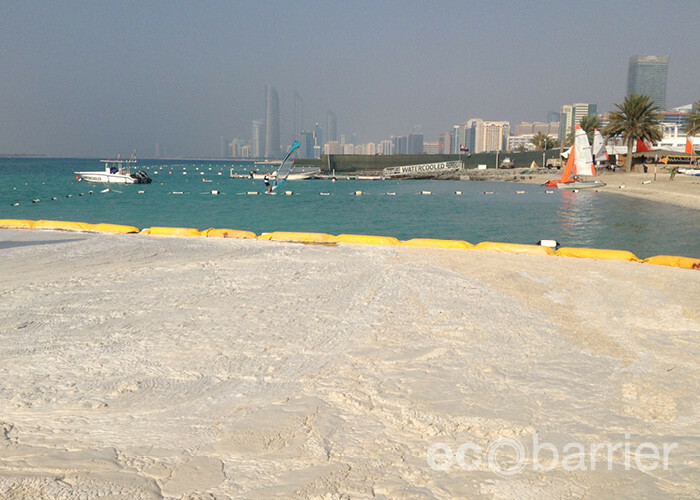 Ecocoast designs, manufactures, supplies and installs different types of containment booms under the brand Ecobarrier. 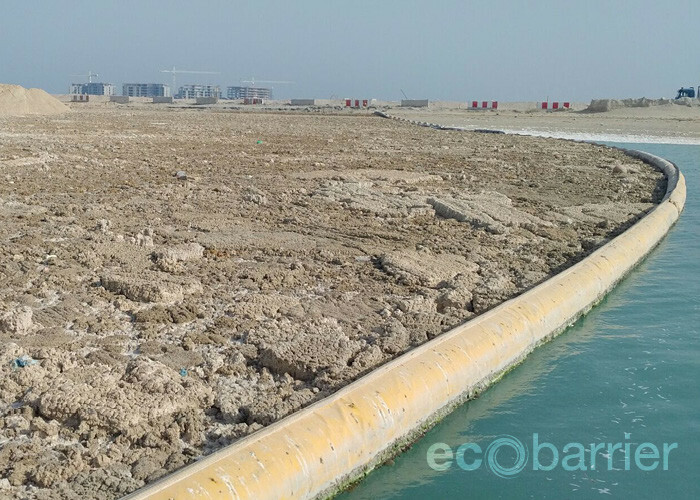 As every construction site and marine environment is different, the booms can be custom designed and manufactured to suit the project requirements. Having a contracting background, we provide after-sales support that cannot easily be matched. 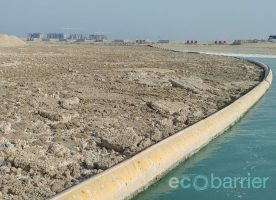 Our containment booms have been successfully implemented in several locations throughout the Middle East and beyond. 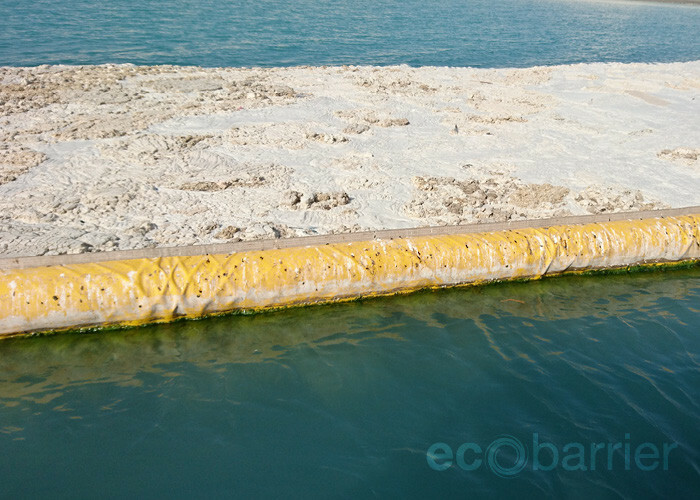 Applications Foam Booms are suitable for areas with different current intensities that require containment of high volumes of surface foam. 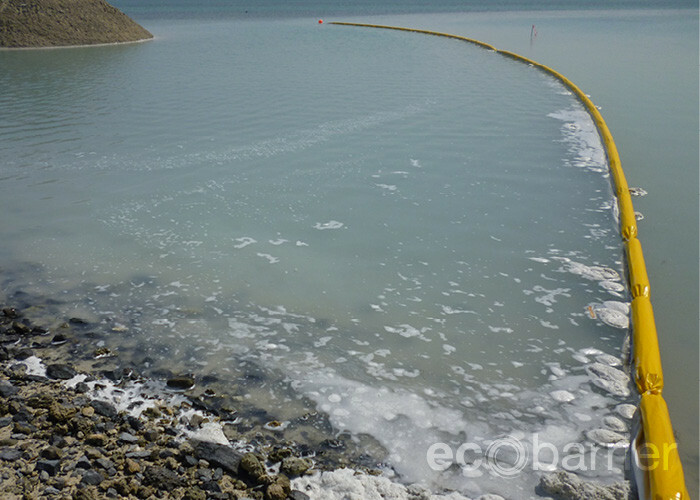 Our Ecobarrier Foam Booms are used to block or capture high volumes of surface foam or debris. 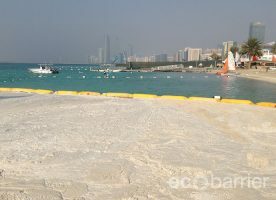 They are available in four different classes built to withstand low, medium or heavy currents. 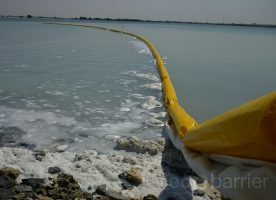 The booms are made of UV stabilized PVC membrane fabric in yellow color, but can be produced in different color variations upon request. 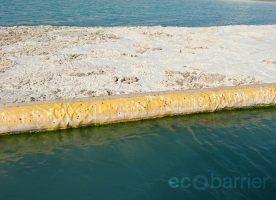 To improve identification of the Ecobarrier Foam Booms, navigation buoys and lights can be provided to ensure clear demarcation of the area and an improved night-time lit environment. Further customization is available, as we always aim to meet the needs and requirements of client specific marine environments.